Internationalization of preparations has promising market prospects, yet few pharmaceuticals enterprises in Dongguan can realize industrialization in this regard. In 2012, Songshan High-tech Zone based HEC Pharm introduced the innovative preparations internationalization and industrialization team. With the support of the innovative team, HEC Pharm has quickly established internationally compliant innovative preparations development platforms and industrialization platforms, accelerating its internationalization process. Thanks to the efforts of the innovative team over the past few years, HEC Pharm has released 12 preparations to the European and U.S. market. By 2018, 50 generic drugs are expected to be approved to be released to the European and U.S. market. This year the sales in the European and U.S. market are estimated to reach RMB 30 million. Unfolding researches in generic preparations since 2005, HEC Pharm hopes to enter the European and U.S. market through generic preparations. Limited by talent and technological bottlenecks, however, the project had been advanced slowly. It was not until then that HEC Pharm realized the necessity to introduce a strong and innovative research team. Before that HEC Pharm had always kept in touch with foreign preparation expert Dr. Zheng Yuqun. Under gracious invitation, Dr. Zheng Yunqun joined HEC Pharm in 2012. Soon he established an innovative preparations internationalization and industrialization team led by him. In 2013, the project specialized in internationally oriented innovative preparation development and industrialization was rated Innovative Entrepreneurial Team of Guangdong Province. One of the key members of the team, Dr. Liu Guozhu has worked as a full-time researcher in HEC Pharm after his graduation. After working in Dongguan for a few years, Dr. Liu Guozhu has felt the innovative vitality of Songshan Lake where biopharmaceutical industry is one of the major industries. After joining HEC Pharm, the team has quickly unfolded technical researches. According to Dr. Liu Guozhu, one of the major research directions of the innovative team is first generic drugs. In the U.S., first generic drug approval refers to the approval of ANDA of a certain preparation that includes a four-paragraph statement filed with FDA to challenge the patent of the original manufacturer. The winner of the patent lawsuit will have a 180-day exclusivity period. It s understood that the first generic drug is generally released to the market at a price 70% to 80% of the patent drug and gain handsome market shares. It means that the enterprise succeeding in the challenge will have great market opportunities and high profits. For an early release, HEC Pharm s innovative team must challenge the protection of patents with technological innovation. In addition to first generic drugs, highly difficult innovative preparations are another major research direction of the innovative team. The technical challenges in this aspect are reflected in raw materials and preparations, which are the key technologies to be tackled by the innovative team, Dr. Liu Guozhu said. The preparations developed by the innovative team are all sold to the European and U.S. market, mainly for anti-tumor, anti-infection, cardiovascular and diabetes treatment, Dr. Liu Guozhu added. Since its establishment, the innovative team has made fruitful research achievements and HEC Pharm has thus marched ahead in generic drugs. Xing Shaolong, office director of HEC Pharm Research Institute, feels strongly about it, A few years ago, we made slow progress in our generic drug project. After the establishment of the innovative team, generic drugs have become an important growth point of our business. Founded in 2012, the innovative team obtained the permit to sell its first generic drug in the European and U.S. market within one year. Now the innovative team has 12 generic drugs released to the European and U.S. market. The team is now working on 100 projects, 25 of them have been filed with the authorities and may be released to the European and U.S. market after approval, Xing Shaolong said. The innovative team has 5 key members who are all senior experts in the internationalization of pharmaceuticals and preparations and have their respective expertise. It s the leadership of these key members that HEC Pharm s generic drug project has achieved groundbreaking progress in pharmaceutical chemistry, process development, analysis technique, preparation and pharmaceutical registration in foreign countries. Led by the innovative team, HEC Pharm has established internationally compliant innovative preparations development platforms and industrialization platforms, including technical platform, regulation platform, patent platform and clinical platform. The successful development and industrialization of proprietary and competitive innovative preparations have allowed HEC Pharm to directly and truly participate in international competition, Xing Shaolong said. 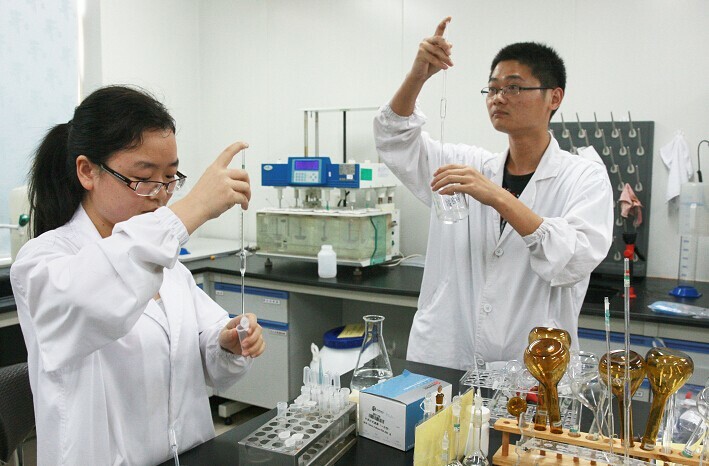 Through the efforts of the innovative team, HEC Pharm has built a production platform compliant with the technical demands of various preparations, a pre-production platform that perfectly connects the laboratory with industrialization, and an experienced overseas clinical research monitoring team, Xing Shaolong added. A production system in line with EU and U.S. GMP system is the assurance of high product quality and the prerequisite of entry into the European and U.S. market. To expand the global influence of HEC Pharm, the Songshan Lake Solid Preparation Production Platform has been further certified by TGA and WHO after mainstream Chinese, European and U.S. certifications. After the expansion of production line, the production platform was certified by FDA in 2014 and GOST in 2015. Since most team members have studied and worked abroad, this innovative team has helped enterprises train a number of high-caliber personnel specialized in foreign regulations for registration in overseas markets. By far, a strong international registration team capably of independent global registration of pharmaceuticals has been built. Strengths in patent lawsuit are essential for generic drugs to enter the European and U.S. market. It s understood that HEC Pharm s patent platform is directed by key member of the team Dr. Luo Jinhua. Now the parent assurance system featuring key team+ peripheral lawyers/law firms has been established to ensure abilities in patent challenge and proprietary intellectual property protection. For Xing Shaolong, the innovative team has actually built a preparation development and industrialization platform over the past few years. It s a systematic project that helps HEC Pharm establish a set of innovative preparations systems. The generic drug market has a huge capacity and a rapid growth. With the help of the innovative team, HEC Pharm has systematically accelerated its internationalization process. Xing Shaolong revealed that HEC Pharm would have obtained the approval to release 50 generic drugs to the European and U.S. market by 2018. The generic preparations developed by the innovative team are being released to the market successively. To quickly expand the European and U.S. market, HEC Pharm has established sales branches in the U.S. and European Union. Azithromycin, clarithromycin and other products have been sold to the European Union, and sales networks in Japan, Australian and South Korea have been built. To meet the future production demands and product internationalization demands as the business expands, HEC Pharm has expanded its production workshops in Songshan Lake, capable of producing 3 billion tablets (capsules)/year at a quality level of European countries and U.S.
Last year, the anti-tumor, anti-infection, cardiovascular generic drugs developed and released by the innovative team realized the sales of RMB million in the European and U.S. market. This year the sales are expected to reach RMB 30 million. The new drug projects can promote the leap-frog development of pharmaceutical industry of Dongguan and Guangdong. And we can provide a shared platform for international development of preparations in Guangdong, Xing Shaolong revealed. Drawn by the innovative team, an increasing number of high-level talents have joined HEC Pharm. Established in 2005, HEC Pharm Research Institute had 200 researchers in 2009 and has over 1400 researchers now. The innovative team alone is composed of over 300 members. As for future research and industrialization goals, Xing Shaolong pointed out that HEC Pharm would rely on the innovative team to actively develop new drugs, improve the new drug development system. On the basis of drugs for major diseases, industry-college-institute cooperation will be deepened to improve the transformation of innovative results, develop highly technical major category drugs with market potentials, and form proprietary and competitive programs and product series, so as to compete against international corporations.